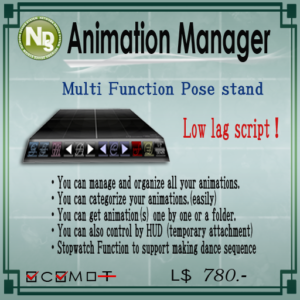 [NDS]Animation Manager is a support tool to manage all your animations easily. You can use AM as a pose stand. You can manage your animations under some categories. An animation can have some categories. You can measure the time between anims under a category. it will put on chat log as (animation)name|second. its very helpful to make macros. You can receive animation(s) as only one or by a folder named category. * Receive HUD as a temporary attachment. You can control AM by HUD. HUD is sent from AM and attach immediately as a temporary attachment. So that the HUD won’t be your inventory and make you not to search your inventory. 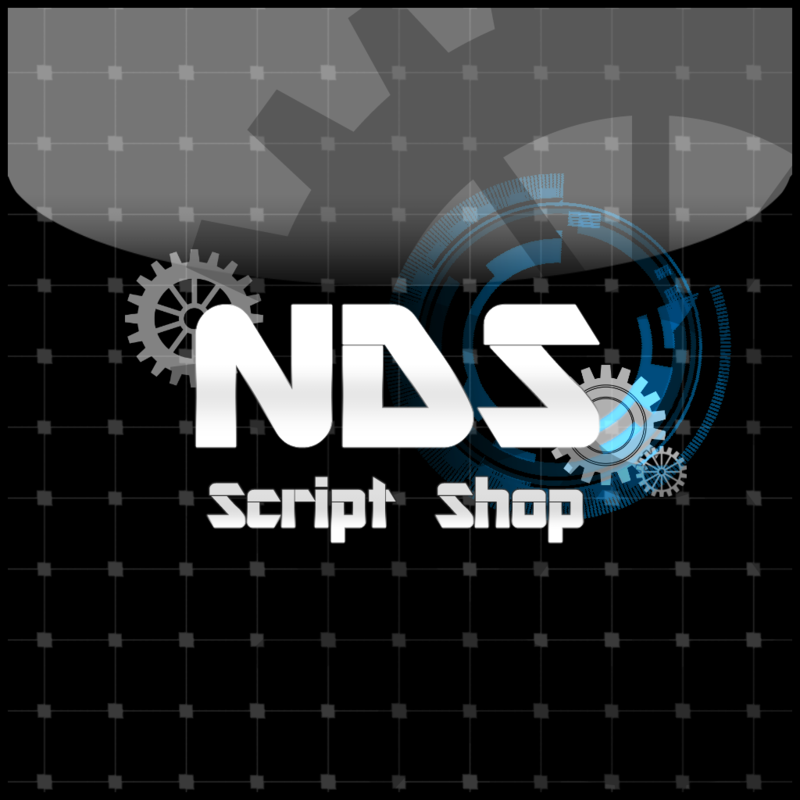 There are many scripts,but some scripts are worked only if they need. The preroad is the system which performs reading of an animation. This system reads the animation in the main body, and by 30 regenerates it every five seconds. It can transfer the animations in the category to the object which you like. You can use your Dance HUDs or Sheets more useful.